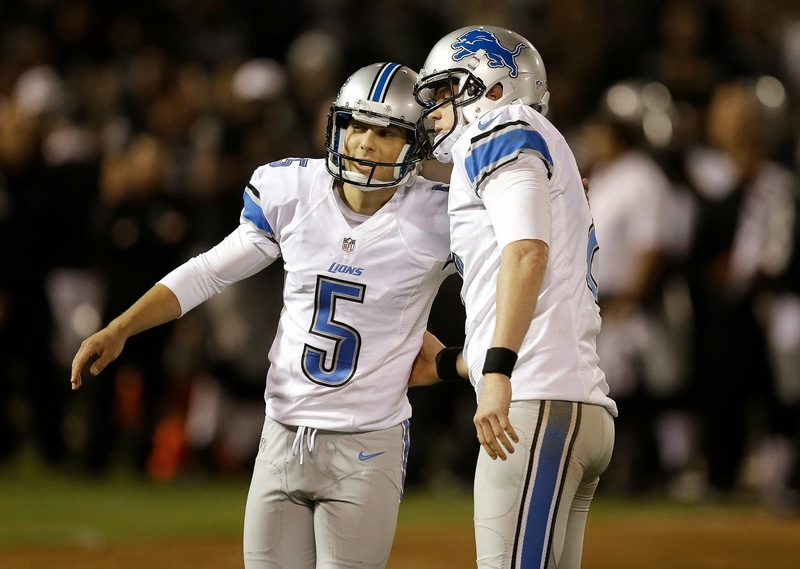 ALLEN PARK — The Detroit Lions’ kicking competition could go down to the wire. Nate Freese, a seventh-round pick, and Giorgio Tavecchio, who was in training camp with the Packers a year ago, will rotate kicking duties in Friday night’s preseason game against the Jacksonville Jaguars at Ford Field. In the previous two preseason games, Freese kicked in the first half and Tavecchio in the second half. Caldwell also said on Tuesday that punter Sam Martin will kick off on Friday night which he did all of last season. But it’s not been determined who will handle kickoffs in the regular season. He said a decision on a kicker has yet to be made. Dominic Raiola said he was honored that NFL.com has named him starting center in its preseason all-Pro team. He was unaware until informed by media on Tuesday. He joins Calvin Johnson representing the Lions. “It’s a big honor. I think it’s a reflection of what we did as a group last year. Again, it’s preseason don’t like to put too much into that. It’s always good to be recognized,’’ Raiola said. Raiola’s had three words of advice for Cleveland’s Johnny Manziel who gave the one-finger salute to the Redskins’ bench on Monday night. “Enjoy the FedEx,’’ Raiola said. FedEx will deliver the notification of a fine from the NFL. Raiola’s been there, saying his last fine was about $15,000. Since it’s a first offense for Manziel, it’s expected to cost him about $11,000. Safety DeJon Gomes who sat out of practice on Monday after a collision in Friday’s night’s game at Oakland does not have a long-term injury. Uncertain if he will practice this afternoon.